Call Us and Enroll Today! BRENTWOOD — Marine sniper Alex LaBier survived two overseas deployments across 10 countries in the span of four years. But when he came home to western Massachusetts he struggled to find purpose while working to support his longtime girlfriend and his new child on the way. The new father said he fell on hard times and made some “bad choices” of his own after being laid off from a Massachusetts state job at the end of 2017. He said he could no longer afford his apartment. He said he and his girlfriend Kelsey Roach moved in with her parents around the time his son Eli was born 15 months ago. He did not have a vehicle and was homeless. LaBier said after his layoff he sought the help of Veterans, Inc., a nonprofit organization based in Worcester, Massachusetts, which supports veterans with employment and training services, counseling, temporary financial assistance and more. The group has assisted 80,000 veterans across New England since its founding in 1990. Veterans Inc. helped LaBier get in for physicals and dental checkups for the first time since leaving the military. Through Veterans Inc.’s career services, LaBier attended an informational session from Heavy Construction Academy (HCA) in Brentwood. He took an interest because he was familiar with heavy equipment from working with his father after high school. LaBier said the day after the informational session, HCA’s admissions counselor Derek Alsup spent an hour on the phone with him to help him register for his Veteran’s Affairs benefits, including his GI Bill benefits, to cover the cost of his tuition. By the following Monday, LaBier had attended his first course as part of his six weeks of classes at HCA, from which he will graduate proficient at using a number of pieces of heavy construction equipment. LaBier will leave HCA when he graduates this week with several job offers to select from, including the New Hampshire Department of Transportation, said Brian Martin, director of business development and operations. Students at HCA spend 70 percent of the class time devoted to “stick time,” or working on the equipment, Martin said. The instruction includes the operation of backhoes, bulldozers, excavators and six other types of equipment. Martin said each day students get a blueprint from instructors and after the tutorial on whatever piece of equipment they are using for the lesson. Students get right to work applying the material. LaBier was enrolled so quickly at HCA, the VA has not yet processed his benefits for his basic allowance for housing, which amounted to $150 a week that he could use to feed his family. Martin said he approached Epping Bible Church Deacon Glen Cassidy, who decided his congregation should kick in the $150 a week while LaBier was at school before accepting a job. LaBier is joined by two other veterans placed by Veterans Inc. and many other non-Veterans Inc. former service members at HCA. LaBier said his future career in construction has given him his sense of purpose back. 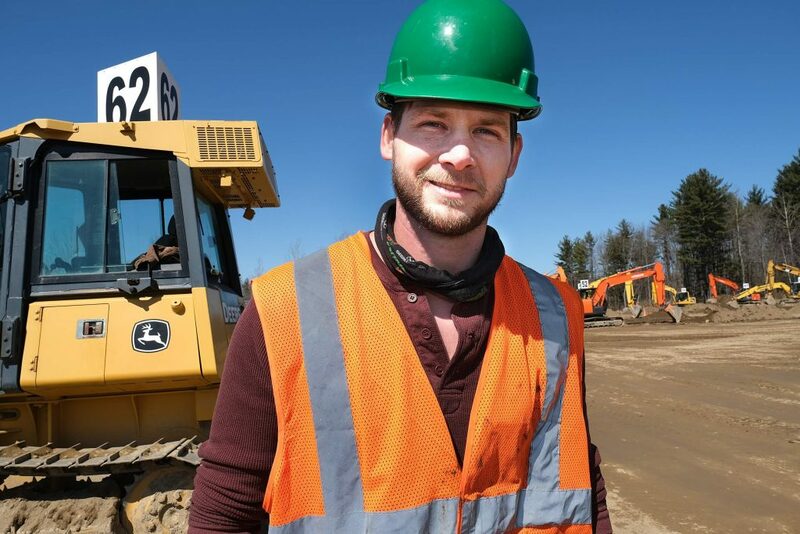 He said he ideally wants to find a job where he could work on a job site with his father, a carpenter, and run an excavator, or a job that requires him to travel to perform construction work. LaBier said other veterans who may feel down on their luck should not give up and instead find something that instills a similar sense of purpose from when they were in uniform.